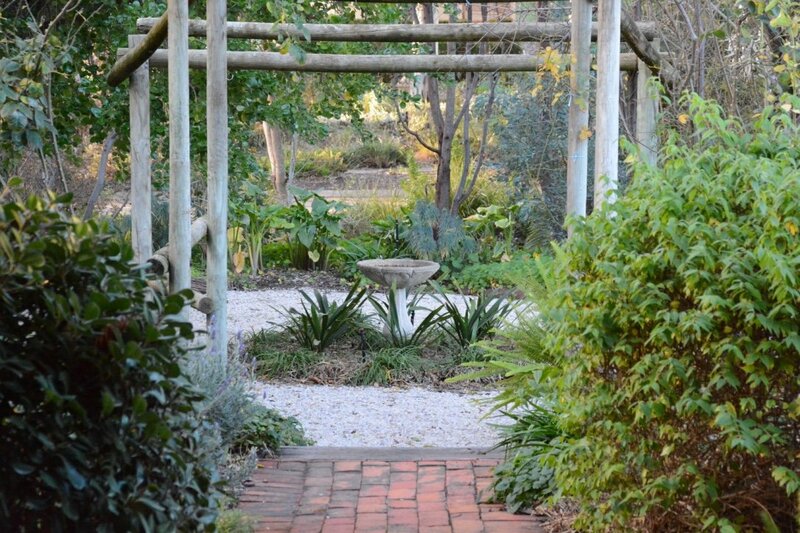 Miriam's Cottage is located in a quiet tree-lined street in the township of Tanunda. This charming stone cottage is surrounded by beautiful cottage gardens. Who would have thought that only a few years ago some contemplated demolishing this symbol of the past Now lovingly renovated with a queen size double bedroom and a king size bedroom, Miriam's provides high standard accommodation in the heart of town. NB the king bed can be split into two singles with at least 24 hours notice. The reverse cycle ducted air-conditioning ensures your comfort all year around. Generous breakfast provisions are left in the large country kitchen. Soak up the warmth of the sunroom or sit out under the pergola, relax and watch the birds frolic through the garden or high above in the massive red gums. There is a selection of wonderful restaurants only a leisurely 5 minute stroll away in the main street of Tanunda. The best place to soak up the riches of the Valley. 100 year old stone cottage in quiet location. 2 bedrooms, 1 bathroom. Rate includes welcome bottle of wine on arrival plus provisions for cooked breakfasts daily. Rates are per double. Additional charges for additional people or beds. At Miriam's Cottage mobile phone reception is perfect! Your Cottage will be ready for you from 2.00 pm. Check out time is 1000 am. Could you please call the day before arrival so you can be given the key code and also to specify which bread you would prefer for your stay. The direct number is 0402 283 822 . The basic tariff covers one couple in one bed per night. Additional adults and children are charged extra per night. Use of extra beds attracts additional charges. Children in cots are free. Please advise of bed requirements at time of booking. 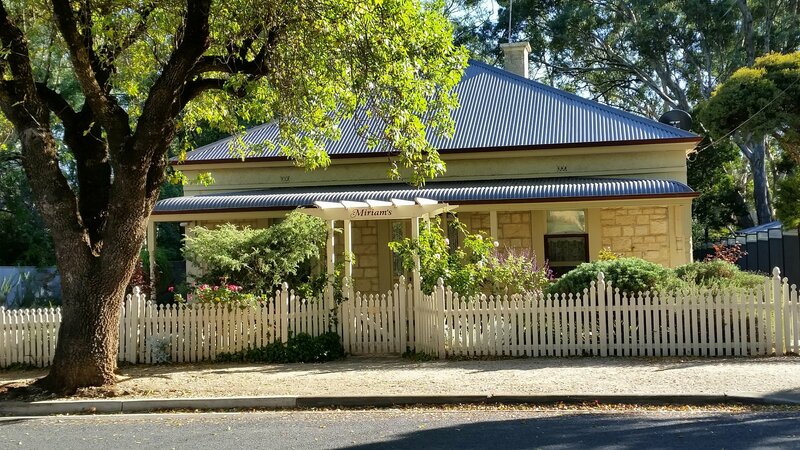 Miriam's Cottage is at 22 College Street, Tanunda. College Street runs off the main street of Tanunda, Murray Street. Coming from the centre of the town, College Street is the second street on the left after the Seppeltsfield archway. Miriam's Cottage is on the right - with the white picket fence.